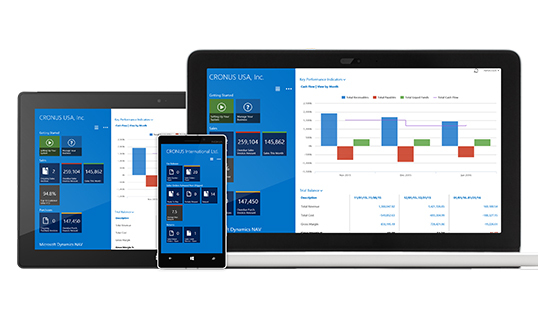 Microsoft Dynamics NAV offers growing small and midsize businesses a powerful yet cost-effective solution that can be tailored for your company. It can support customisation and add-on software to meet industry or other specific needs. In addition, it can adapt as a growing business needs more capability and functionality. Microsoft Dynamics NAV provides the scalable functionality your growing business need to manage all of its business processes. Trusted and widely used by over 300,000 customers in 42 countries it provides the solutions you need to drive business success.